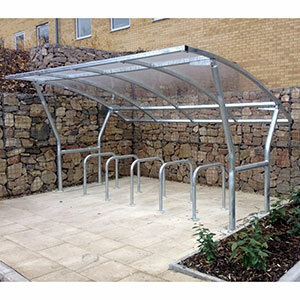 The Cambourne cycle shelter is a free-standing, single-sided design for on site assembly, constructed from galvanised steel and PET sheet. 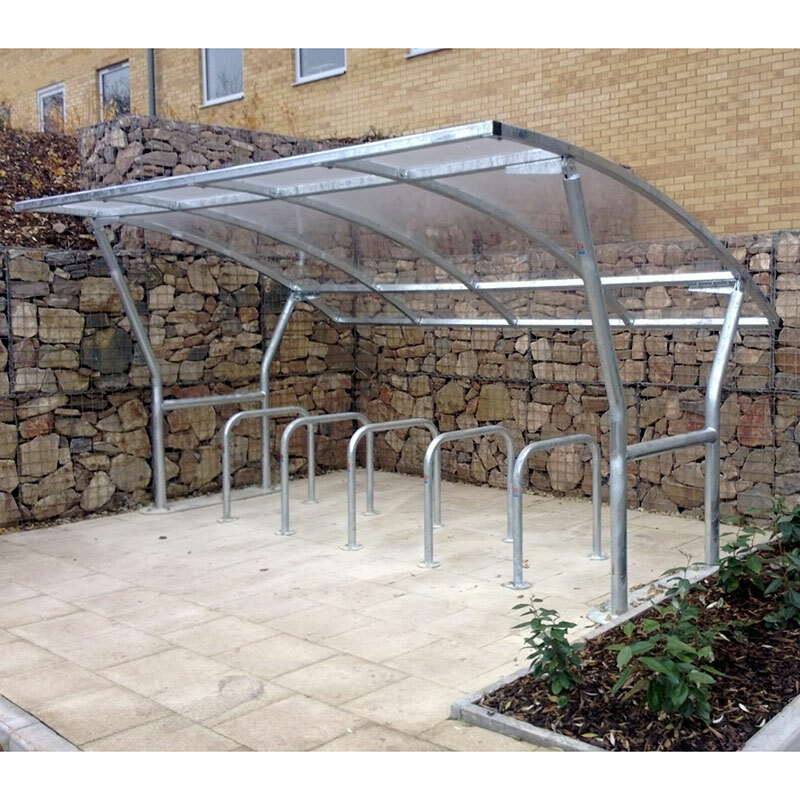 The frame is made entirely from galvanised mild steel; the uprights are 76mm round tube and the roof frame is 50mm square tube. The roof is 4mm clear sheet.